Similar to the popular Wheel of Fortune game show, players compete against each other to solve the puzzle first. Spin the wheel! Thank you for your interest in Wheel of Fame! 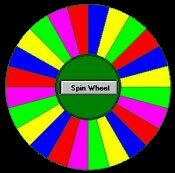 Wheel of Fame is available for the Worldgroup 3.x DOS and 3.x 95/NT platform. You may download the demo for the platform you wish to run it on.